The Dork Diaries fandom is BIG here at The Greg Wells Team! So when we found out that our favorite author, Rachel Renée Russell, and her daughter Nikki were at Barnes & Noble (Ashburn, VA), we HAD to get our copy of book 13 signed. After reading through book 13 (twice), we believe this book is wayyyyy too good not to share! We were lucky enough to get three signed copies, so we have decided to give away TWO signed copies to TWO lucky Dork Diaries readers!! Entries must be entered between October 19th and October 26th. Giveaway will close at midnight of the 26th. 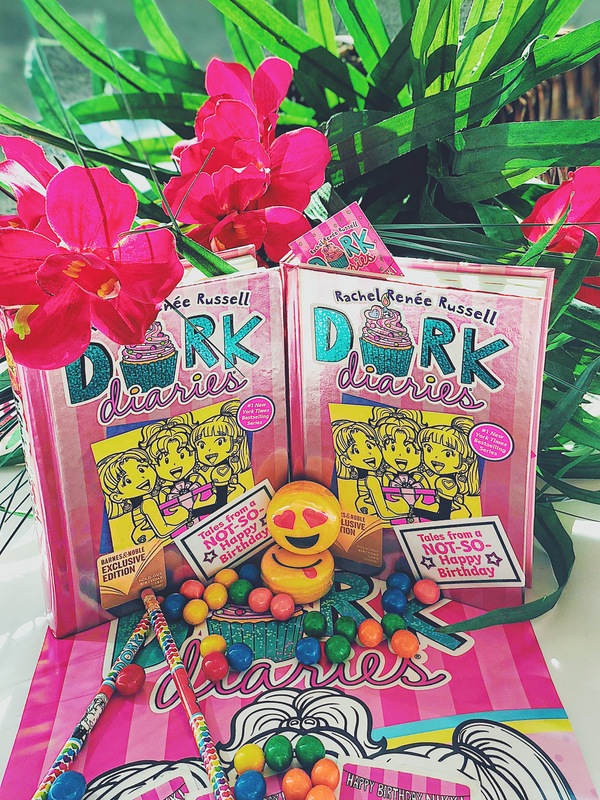 There will be TWO winners, and each winner will get ONE copy of Dork Diaries – Tales from a NOT- SO- Happy Birthday signed by the author of the Dork Diaries, Rachel Renee Russell. Only US residents over the age of 18 can enter. Way to enter: You must like and comment on the post about you or your child’s favorite Dork Diaries Book. There is only ONE entry per Facebook account. The winners will be picked at random using an online name picker. The winner will be notified via Facebook Direct Messenger and will have 24 hours to provide a valid email address that The Greg Wells Team can use for communication purposes. By entering, you are giving The Greg Wells Team permission to be able to use your name/Facebook page tag submitted by all entrants on our social media accounts and marketing material. Unfortunately, the giveaway is closed and we already gave away the signed copies. Be sure to be on the lookout for our upcoming giveaways soon, we will be doing a lot more!